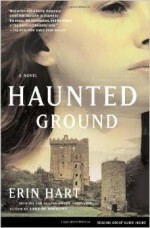 Here are more books to read before you travel to Ireland. This is the second post in a series and picks up from the first batch of book suggestions. 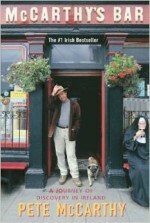 These books will help you understand the Irish culture, history and landscape. 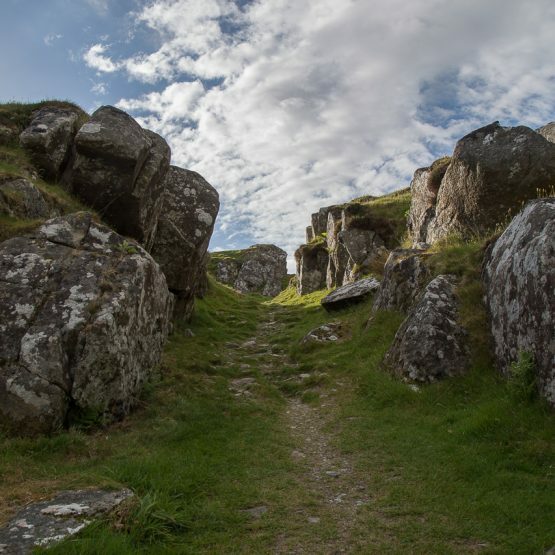 They are especially helpful in discovering more about Irish mythology and the sacred landscape. When farmers cutting turf in an Irish peat bog make a grisly discovery — the perfectly preserved head of a young woman with long red hair — Irish archaeologist Cormac Maguire and American pathologist Nora Gavin must use cutting-edge techniques to preserve ancient evidence. Because the bog’s watery, acidic environment prevents decay, it’s difficult to tell how long the red-haired girl has been buried — two years, two centuries, or even much longer. Who is she? The extraordinary find leads to even more disturbing puzzles. 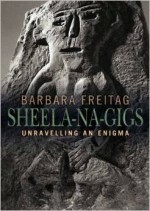 Sheela-na-gig iconic figures depicting wild women displaying their genitalia is found throughout Europe, but very prevalent in Ireland. Here Barbara Freitag examines all the literature on the subject since their discovery 160 years ago, highlighting the inconsistencies of the various interpretations in regard to origin, function and name. By considering the Sheela-na-gigs in their medieval social context, she suggests that they were folk deities with particular responsibility for assistance in childbirth. No one can describe the magic of thin places in County Mayo quite like Castlebar native and author, Michael Mullen. From the Nephin Beg range to Achill and the Céide Fields, this study travels through the gentle and rich landscape of Mayo. 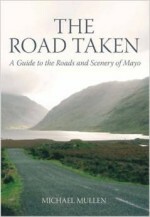 Author Michael Mullen shares his wide-ranging knowledge of the county in order to give travelers an understanding of Mayo’s rich history and varied landscapes while he guides them along its roads and through its historical and literary heritage. A driving guide, potted history, and miscellany, this is an invaluable companion for anyone wishing to explore the better and lesser-known attractions of the county and includes a beautiful selection of color photographs. King, warrior, and lover Brian Boru was stronger, braver, and wiser than all other men-the greatest king Ireland has ever known. Out of the mists of the country’s most violent age, he merged to lead his people to the peak of their golden era. This engaging book traces the history, archaeology, and legends of ancient Ireland from 9000 B.C., when nomadic hunter-gatherers appeared in Ireland at the end of the last Ice Age to 1167 A.D., when a Norman invasion brought the country under control of the English crown for the first time. So much of what people today accept as ancient Irish history—Celtic invaders from Euproe turning Ireland into a Celtic nation; St. Patrick driving the snakes from Ireland and converting its people to Christianity—is myth and legend with little basis in reality. The truth is more interesting. 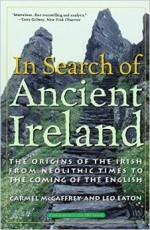 The Irish, as the authors show, are not even Celtic in an archaeological sense. And there were plenty of bishops in Ireland before a British missionary called Patrick arrived. 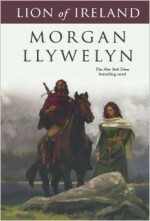 But In Search of Ancient Ireland is not simply the story of events from long ago. Despite the many exotic places Pete McCarthy has visited, he finds that nowhere else can match the particular magic of Ireland, his mother’s homeland. In McCarthy’s Bar, his journey begins in Cork and continues along the west coast to Donegal in the north. Traveling through spectacular landscapes, but at all times obeying the rule, “never pass a bar that has your name on it,” he encounters McCarthy’s bars up and down the land, meeting fascinating people before pleading to be let out at four o’clock in the morning. Written by someone who is at once an insider and an outside, McCarthy’s Bar is a wonderfully funny and affectionate portrait of a rapidly changing country. 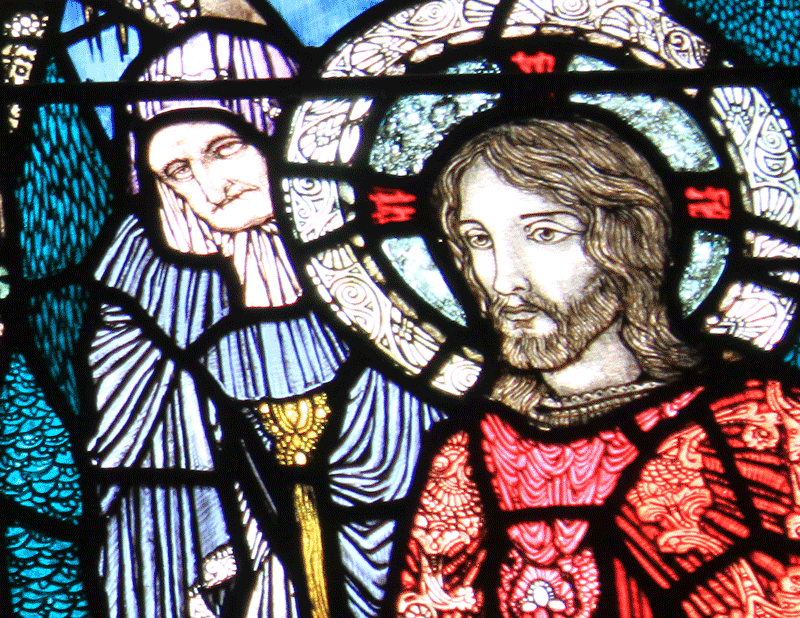 Harry Clarke,famous for his stunning stained glass windows scattered all over Ireland, crafted a series of windows depicting the life of Christ that now hang in an obscure chapel in Dingle. 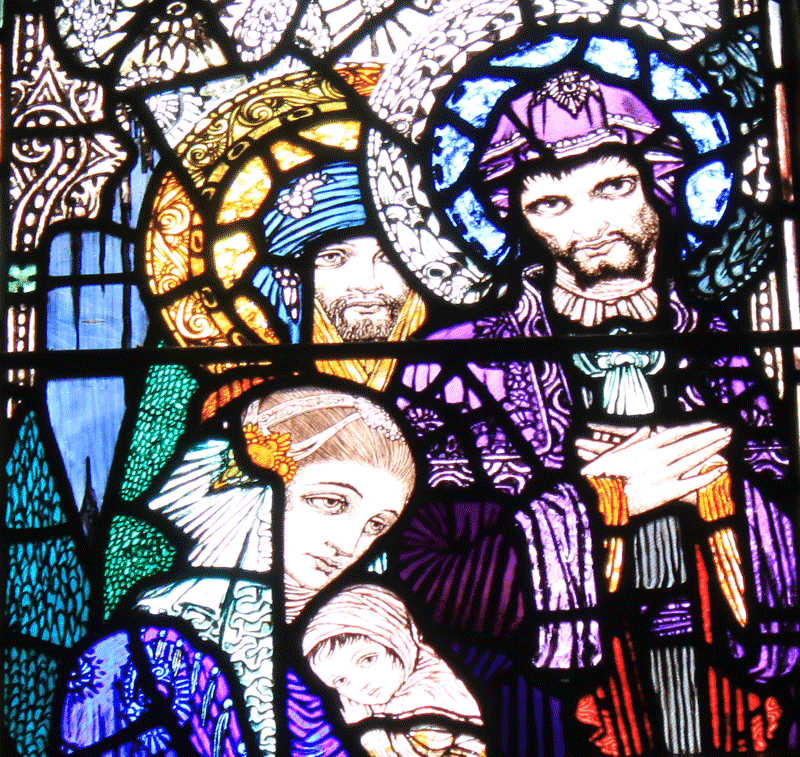 To see one Harry Clarke Window is a gift. To see twelve at once is an mystical experience. The Dingle Peninsula in Ireland’s south west corner is a magical place. Apart from the well-known sites like Slea Head, Gallarus Oratory, the mysterious Blasket Islands, bee hive huts, and Mount Brandon, the Harry Clarke windows in the Chapel of the Sacred Heart at the old convent of the Presentation Sisters are hidden jewels often undiscovered by the traveler who walks the streets of Dingle town. 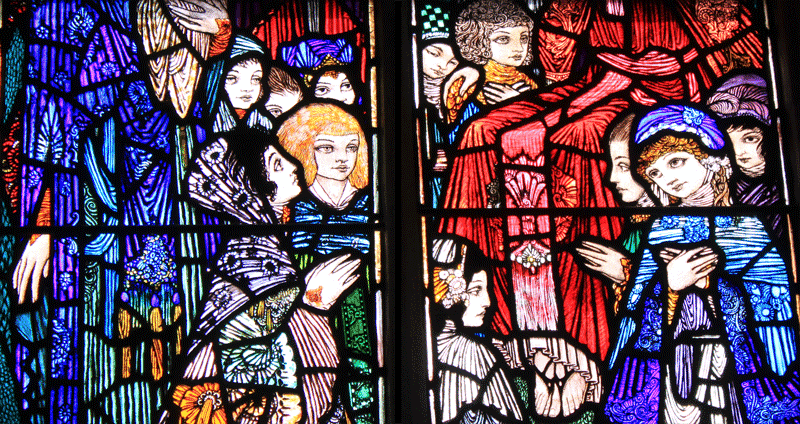 Perhaps it’s no wonder that Dingle – one of the thinnest places in Ireland – drew unto itself one of the largest collection of Harry Clarke windows installed in a single location. The windows are housed is a small chapel situated next to St. Mary’s Church on Green Street. Visitors can stop in the An Diseart Visitor Centre and ask for a guided tour, or contact the Centre ahead of time and secure a appointment to view the windows. The young woman who conducted my personal tour explained that this was once a convent and the chapel was solely for the nuns. They were the only beneficiaries of this magnificent art except for on rare occasions. 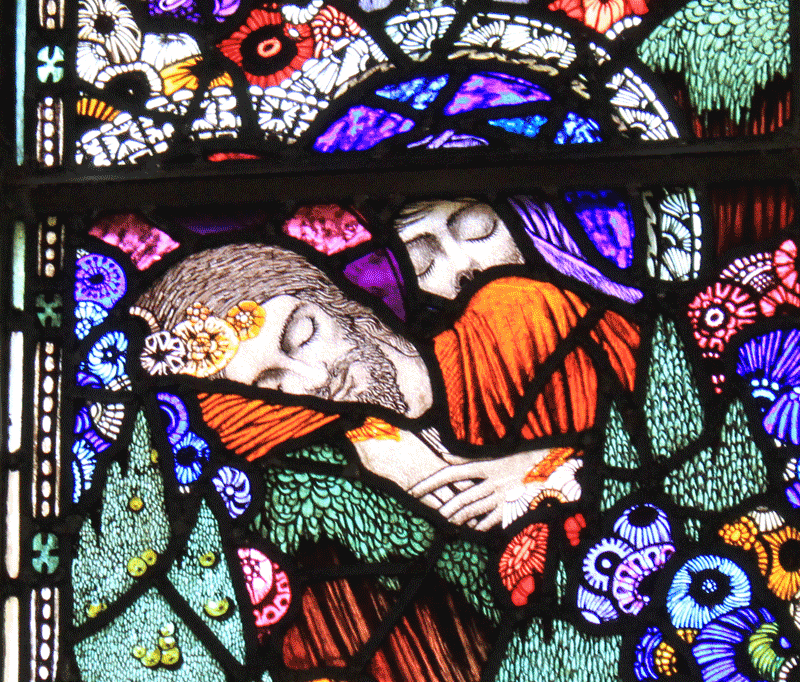 Harry Clarke was the son of a craftsman. 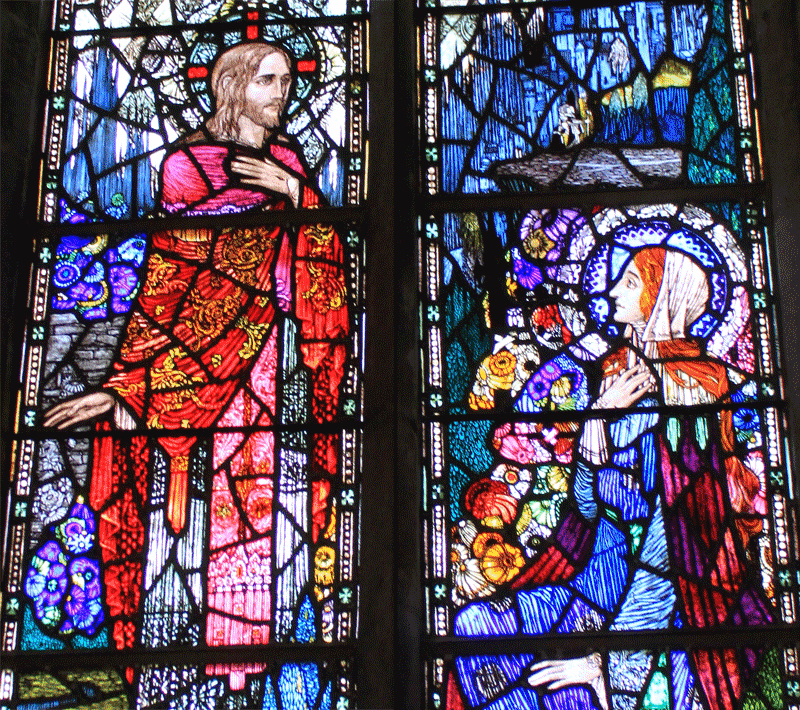 He started working with stained glass under his father’s direction when he was in his teens. After he completed his education, Harry Clarke began his professional career as an illustrator. His illustrations adorned books of fairy tales by Hans Christian Andersen and Edgar Allen Poe. It was Clarke’s craftsmanship as an illustrator that set his stained glass windows apart from other famous stained glass artists. The detail to fine lines and his method for using lead to carefully outline his figures was unique. His use color, particularly his shades of blue, made his windows stand apart. This little chapel next to the grand St. Mary’s Church houses twelve lancet stained glass windows by Harry Clarke. 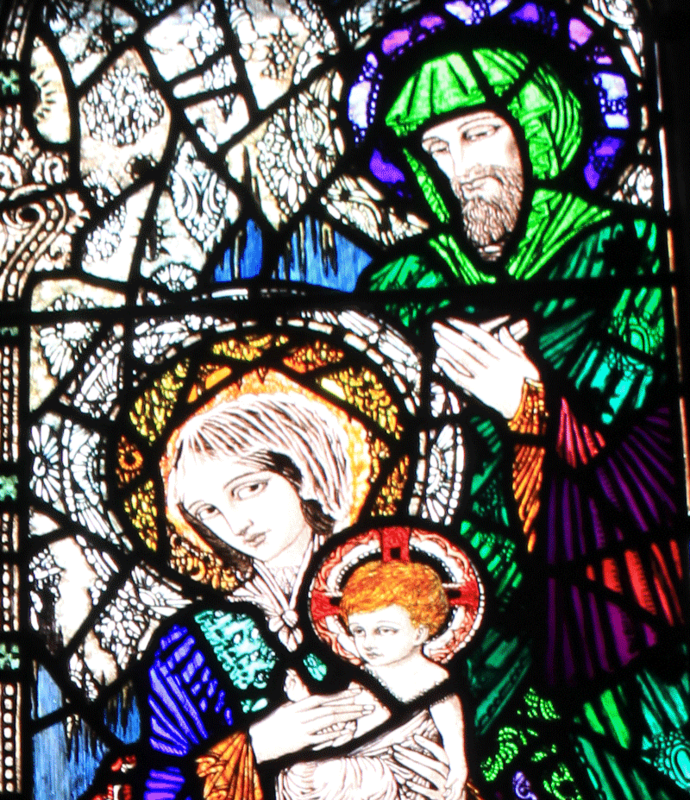 Many churches in Ireland will claim one Harry Clarke window as an element to attract visitors. (And viewing one window IS worth a visit anywhere). But to have twelve all together in one spot is enough to take one’s breath away. Each pair of double windows depicts one of six scenes from the life of Christ – Visit of the Magi, Baptism by John the Baptist, Suffer the Little Children, Sermon on the Mount, Agony in the Garden, and Christ’s Appearance to Mary Magdalene. 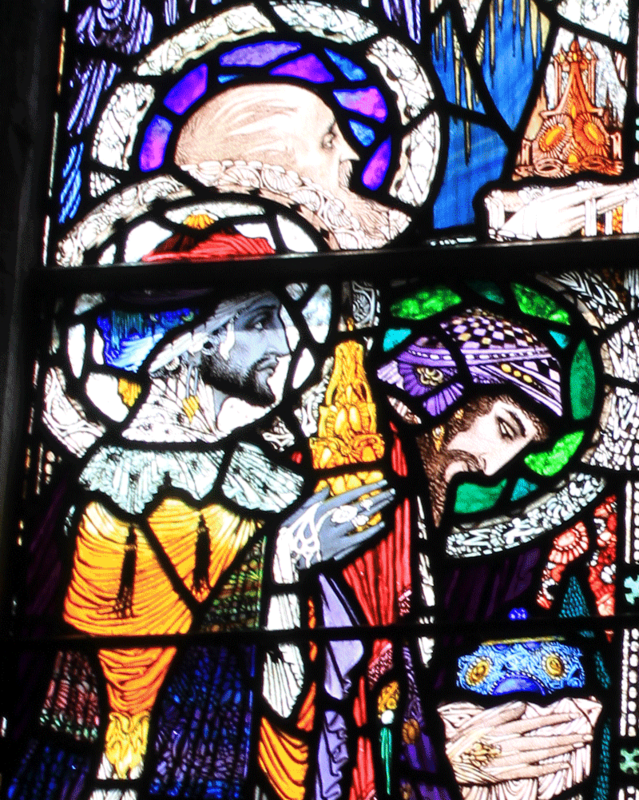 The faces of Harry Clarke’s characters in theses windows draw the admirer into the work of art – connecting on a deep level. The eyes of the figures follow you as you move around the chapel, and the expressions on the faces are full of emotion. They haunt you after you leave. The series of windows transports the gazer … lifts the spirit into another realm. They stimulate the imagination. If you’re in Dingle, ask about the Clarke windows. Anyone can direct you to St. Mary’s Catholic Church. The former convent – now theAn Diseart Visitor Centre is next door. Only escorted tours are offered and the hours of operation for the Centre vary so call ahead and inquire about a guided a tour. The tour takes about and hour and there are beautiful walled gardens as well as a hidden tunnel that can be explored with a guide. But make the chapel the last thing you see, because everything after that will be underwhelming.